Egyptian President Anwar Sadat, U.S. President Jimmy Carter and Israeli Prime Minister Menachem Begin shake hands at the time of the Peace treaty between Israel and Egypt in 1979. President Trump’s support among Latinos is much more widespread than the left-wing media would have us believe. The Democratic Party’s shift to the radical left continues. This time Democratic presidential nominees are celebrating marijuana and promising to make it legal if elected. Why does society continue to ignore the devastating effects of this gateway drug? 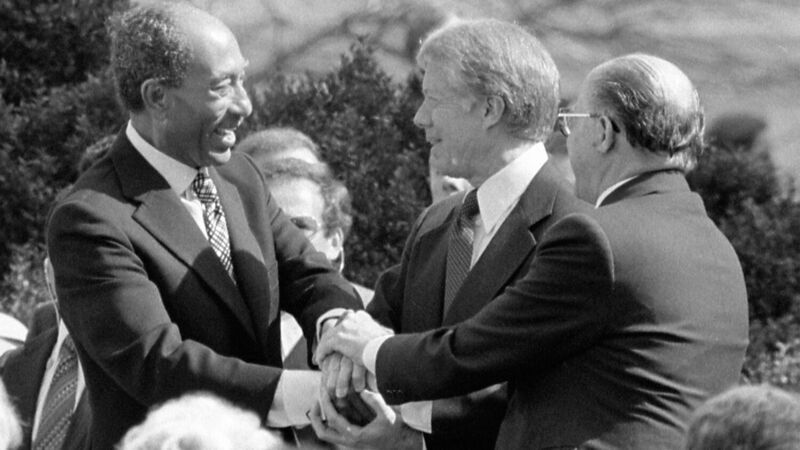 In March of 1979, 40 years ago this month, Egyptian President Anwar Sadat and Israeli Prime Minister Menachem Begin signed the Egypt-Israel Peace Treaty in Washington, D.C., with U.S. President Jimmy Carter. Many people are aware of this incredible history—and the key statesmen who helped bring it about. Few people, however, know about the role played by an unofficial ambassador for world peace—a man named Herbert W. Armstrong!